The Delhi state government has provided with an opportunity for local people to apply for the Driving License (DL) and Registration Certificate (RC) transfer via online web portal services. The convenience has been provided by the government to help local people take the benefit from their homes. Under the new provision the State Transport department has announced that it shall be visiting the homes of the applicants for providing them with home delivery services under the Mobile Sahayaks – Doorstep Delivery scheme. 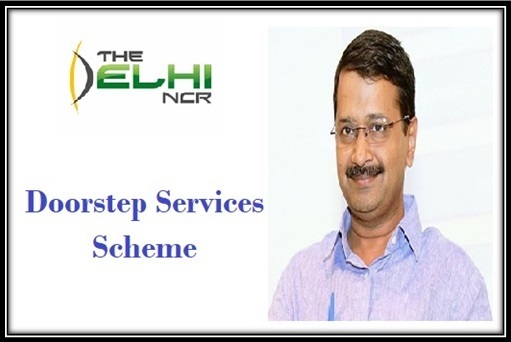 The new service is a type of online web portal service where the applicants can make the request for RC and DL certification via web portal of the Delhi government. Using the new services the applicants will be able to fix up the appointment with the authorities and its officials for opting for Driving test just by paying a fee of Rs 50. The Delhi state government has also announced that all possible measures have been taken by the government to help implement the Doorstep Delivery services at the earliest. The new services have been announced by the state government with an aim to help eliminate the problems of congestion and Chaos that is created the moment applicants have to visit the local RTO office. The new move is also expected to help save a lot of time and money for the local people as they will not have to spend time traveling till local RTO office for getting RC and DL. Interested candidate will have to first visit the online web portal or contact via Helpline number. Once the call has been made to the Mobile Sahayaks they will be visited by the assistant from the department for filling in the online application form for a fee of Rs 50 per form. The moment you fill in the application form, the assistant will also help you book your driving test via online portal itself. To give the test the applicants can then visit the local RTO at the fixed time. It is important for each applicant to pass the driving test. The DL will only be issued to the candidates the moment they pass the driving test. The DL will directly be posted to the residential address of the applicants by the authorities. The procedure to log in is still the same in both cases. You have to be logged on to the official web portal. It is important for applicants to make the submission of the Original RC booklets and then apply for new one. You will have to make the submission of other documents like PUC certificates, proof of address and insurance papers copies. The authorities will deliver the RC and transfer papers directly to your home within few days after completion. As the scheme is made available for all people so it is obvious that the services of direct assistance to your home or mobile sahayaks will always offer benefit to the people who are not comfortable using the internet as they do not have access to it. You can also access internet services from the cyber café and fill in the registration forms. The applicants can also appear for the online test from 8:30 AM onwards till 2 PM.